Without question “business ethics” is one of the hot topics of the day. Over the past months we have seen business after business charged with improper practices that violate commonly-accepted ethical norms. This has led to a loss of confidence in corporate management, and has had severe economic consequences. From many quarters business educators have heard the call to put more emphasis on ethical practices in their business courses and curricula. Engineering educators are also heeding this call, since the practice of engineering usually involves working for (or leading) a business and/or engaging in business transactions. In the summer of 2002, Auburn University’s Engineering Professional Development program made the decision to produce—based on the author’s Executive MBA course in Business Ethics—a distance-delivered continuing education program for professional engineers and surveyors. Participants across the USA now may use the course to satisfy continuing education requirements with respect to professional licensing and certification. This paper outlines the purpose and content of the course and describes its production, distribution, application, and evaluation. 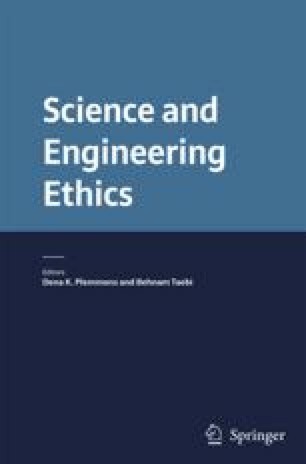 An earlier version of this paper was presented at the “Ethics and Social Responsibility in Engineering and Technology” meeting, New Orleans, 2003.